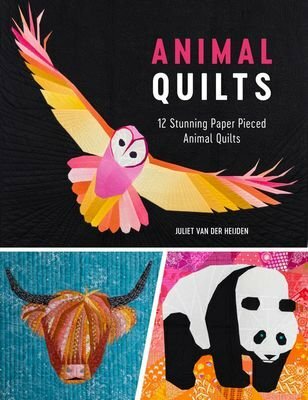 A unique collection of 12 eye-catching foundation paper pieced animal quilts, including patterns and instructions for a tiger, polar bear, peacock, butterfly, swan, rhino, wolf, owl, lion and more. Includes coloring in sheets so you can experiment with your own color schemes for each animal. All the foundation paper patterns are included on a handy CD. Author: Juliet van der Heijden. Softcover, 128 pages.